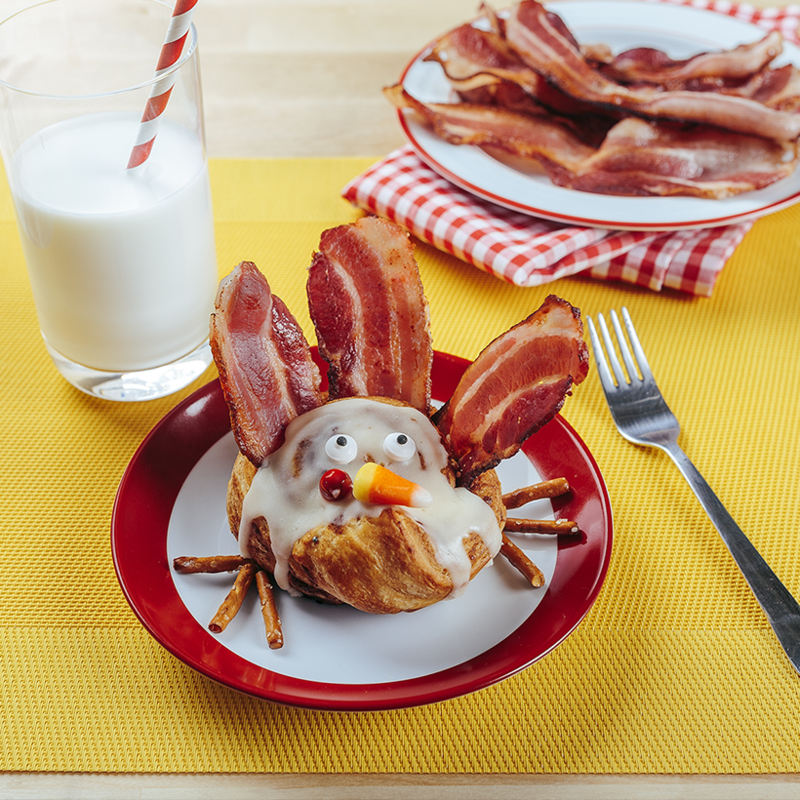 Start a new Thanksgiving breakfast tradition with our sweet and savory Cinnamon Bun Gobblers. Set icing aside. Separate dough into 5 rolls; place about 3 inches apart on cookie sheet. Unroll each roll about 1 inch and tuck dough into the roll to create neck of turkey. Bake 20 minutes or until light golden brown. Remove from cookie sheet and cool for 5 minutes. Meanwhile, cook Gwaltney Bacon until crisp; drain on paper towel-lined plate. Cut bacon slices in half. Tuck 4 halves of bacon into back of each cinnamon roll so they look like tail feathers. Drizzle tops of rolls with icing. Decorate turkeys with candy eyeballs, candy corn and candy-coated chocolate candies. Before serving, place pretzel sticks underneath to resemble turkey feet.